I have a DB with 50 GB of size I need to reduce the size of it. How to reduce the file size of it? I already did this: shrink | files | selected 'Data' as filetype. but still it shows 50 GB Reserved space is using. You probably used the default in the GUI, which resulted that the GUI added the TRUNCATEONLY option. This means "don't move any data" and you probably had a situation where the last page in the database was in use. Hence the file didn't shrink. By using the "Reorganize ..." option, SQL Server will move pages towards the beginning of the files, thus making the end of the file free and the file can be shrunk. Such page movements can take a terrible long time, fragment your indexes etc etc, so don't skrink unless you have a high enough payback. My article on shrink. Not the answer you're looking for? Browse other questions tagged sql-server t-sql ssms or ask your own question. Is it possible to shrink an .MDF file on a drive with low free space? 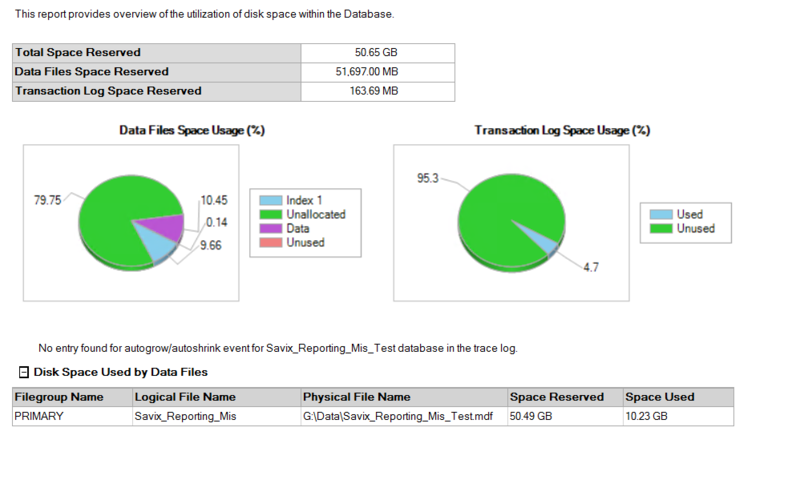 Does a database backup reduce size/increase free space of the log file? Best Way to Reduce the Size of 8 TB DB?